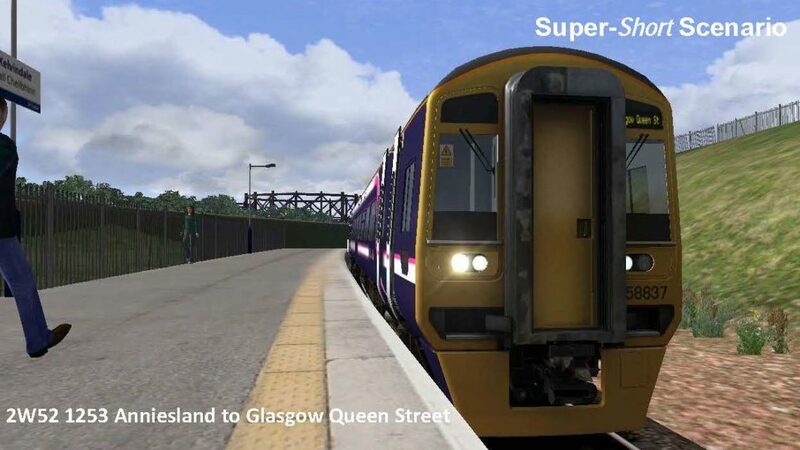 Class 158 ScotRail. Duration 20mins. Part of the Super-Short Scenarios. Queen Street. Set up your train and pick up passengers here. You may have to TAB the red aspect at the end of the Cowlairs tunnel. Suburban Glasgow the Steam Workshop (version 5.1a http://www.suburbanglasgow.